The default settings shows you 50 e-mails on each page in every folder to prevent long loading screens at your mailbox. You can change the amount of e-mails shown. 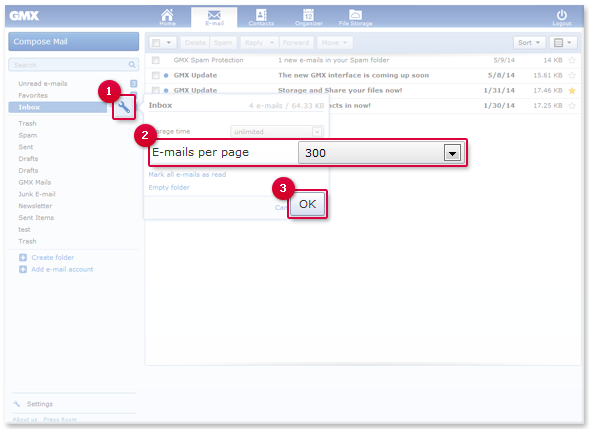 You can view up to 300 e-mails on each page. The more e-mails you view per page, the longer the page takes to load. For technical reasons, you can only view up to 100 e-mails per page in Internet Explorer. Select the number of e-mails to be shown.